I have fallen in love with cold water swimming. At the end of September 2015 just after buying a new wetsuit at a bargain price in the end of season sale, I came across an advert for Chillswim. 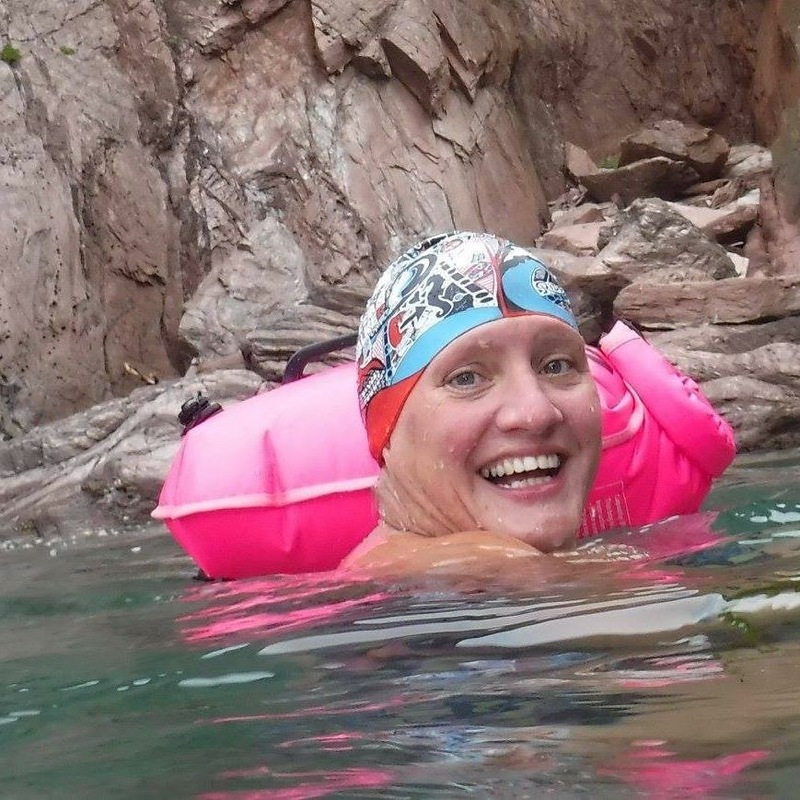 Training for what I thought was a crazy swim began on 10 Oct 2015 with first skins dip (8mins at about 12c) and I have not looked back since and still haven’t had that new wetsuit on…….Unfortunately, I will have to for some events this year but my plan is skins, skins and more skins swimming. I have absolutely falling in love with it and look forward to lots of adventures to come. I have 3 lovely (slightly crazy friends) who shared this love and we have called ourselves ”The Dippy Dragons” and have lots and lots of fun times together with a few calamities along the way, which after the event just add to the fun of being a team :-).